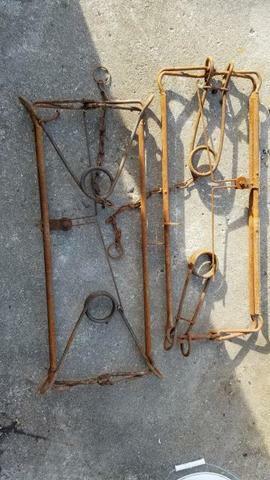 Have for sale 2 660 conibear traps in great shape strong springs USED twice .... both have surface rust and ready for dye. $80 SHIPPED Only trade is for #3 OS moded Dogless bridgers )plus shipping pm with any questions. Last edited by coonman11; 02/12/19 11:19 PM.